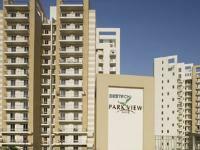 Looking for a property in Sector-70? Have a property in Sector-70? 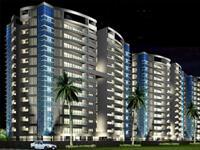 Sector-70, Gurgaon is rated 6 out of 10 based on 1 user reviews. Have a good knowledge of Sector-70? Share it and become a Locality expert. 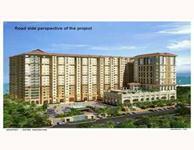 The project is known for its unique design which spread over an area of 3 acres. BPTP Astaire Gardens, a gated community with 24x7 security and maintenance services that ensures the outstanding levels of security. Tulip Ivory offers you 4, 5 Bedroom apartments, penthouse and villas in Sector 70, Sohna Road, Gurgaon with the sizes of 2400 sq ft to 4600 sq ft. .
high rise apartments/ penthouses at Sector 70, Gurgaon. 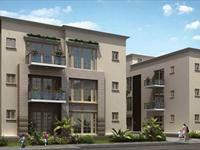 Unitech Anthea Foors; a residential development inside Unitech Wild Flower Country, offers suitable 2 and 3 BHK high rise apartments and pent houses. housing plans composes obvious of a intentional development. 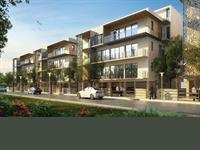 Unitech Crest View Apartments within wildflower country township in sector 70, gurgaon. 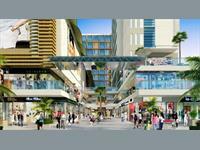 This sprawling township is located adjacent to 90 m wide southern periphery road on proposed metro route. 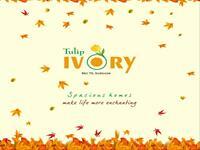 Tulip Orange Homes are inspired from orange tulips which are a spring beauty. The homes boast of having a firm foundation and strong structure just like the deeply rooted tulips in dense soil. BPTP Floors Sector 70A Gurgaon. 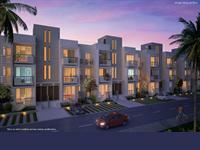 BPTP coming with new residential project sector 70, Near Golf Course Extention Road, Gurgaon. 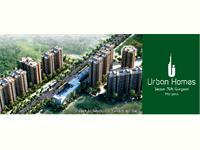 Unitech Ivy Terraces offers 3, 4 BHK luxury apartments in Sohna Road, Gurgaon & its sizes are ranging from 1800 sq ft to 2500 sq ft.
3and 4 BHK apartments in a Golf -oriented luxury township. 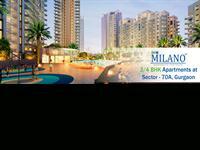 M3M Milano; located at Sector-70A, Gurgaon, on Golf-Course Extension, near Ansal Escencia offer you every necessary facilities and amenities within your reach. 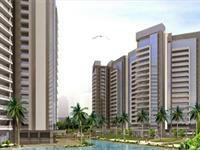 The project offers ultra-luxury 3&4 BHK apartments.